OK, I have a confession to make! You all know that I’m a HUGE fan of bullet journals… in fact, it’s almost a cult-like obsession! Well, my confession is that I’ve only very recently started using my bullet journal as my planner too! 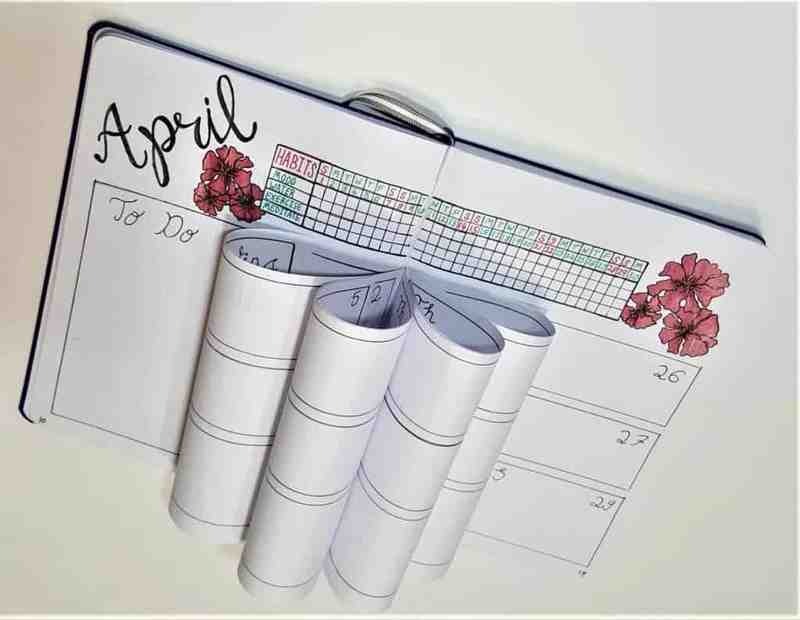 Yes, I know the whole idea of a bullet journal is to track your daily appointments, goals, priorities and then check them off as you do them or migrate them to the next day. This sounds so great in theory, but it just didn’t work out for me. No idea what I’m talking about? New to bullet journals and confused? Or just looking for a refresher on bujos? Then check out my Ultimate Beginners Guide to Bullet Journals for everything you need to know! For a while when I first started a bujo, I did daily pages but I just didn’t stick with it. I think my problem was that I was obsessing over how each page looked and spending far too much time making it “perfect”! I just don’t have enough time in my day for that! So I found a planner that suited my needs and used that instead. The problem was that I then had 2 notebooks to carry around with me – my bujo and my planner. I hate having a heavy purse, so I’d end up leaving my bujo at home. It honestly felt like I was leaving my baby home alone some days when I did that! 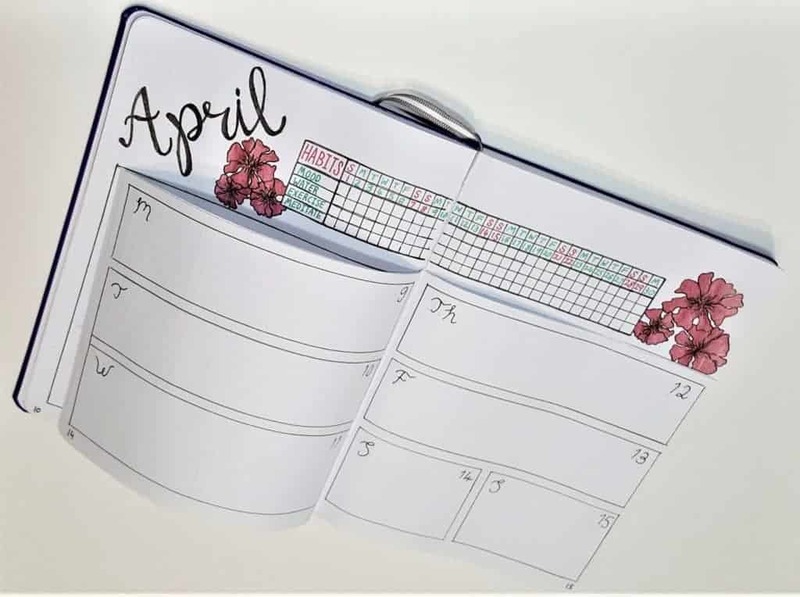 Now I’m about to finish my planner (next month), so I needed to make a decision – do I get another planner (and keep leaving my baby at home!) or do I find a better way to use my bujo? I decided it was time to help my baby grow, and start creating my own bullet journal weekly spreads! 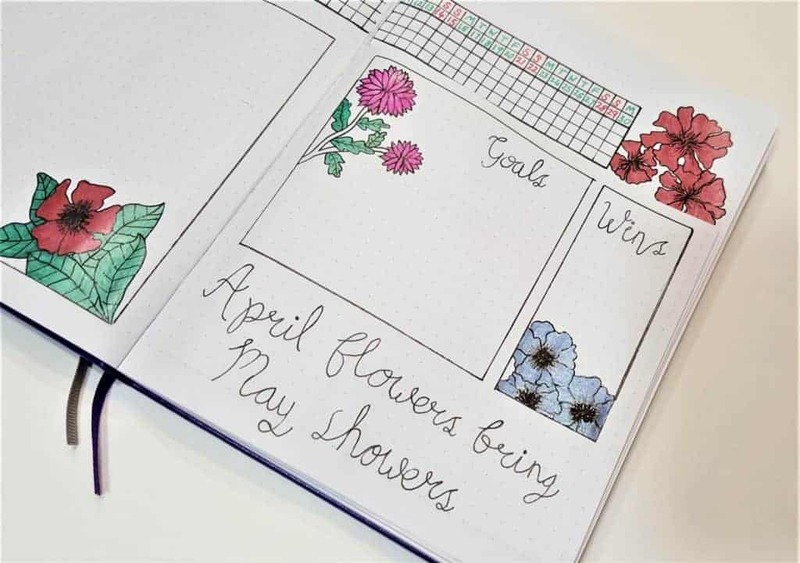 The beauty of a bullet journal is that you can customize the page to be exactly how you want it. Need a big note section? No problem. 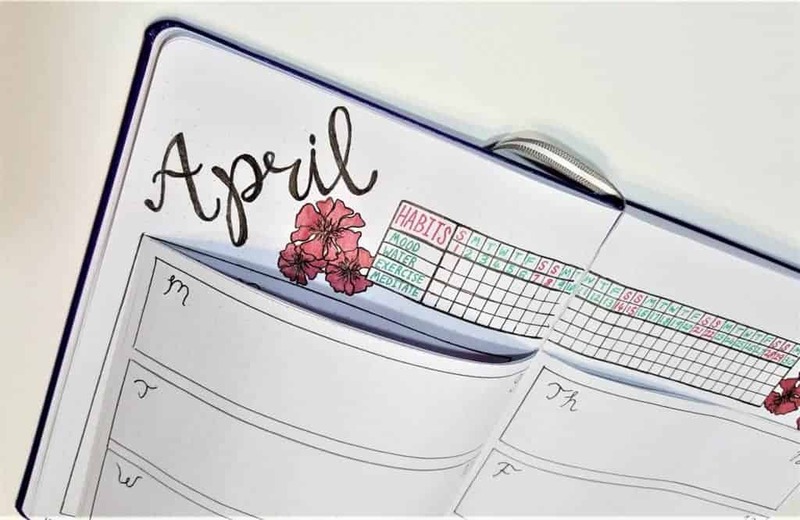 What monthly goal planning? Go for it! Want to track your habits? Sure, why not! Side note: I still love my planner and the layout is perfect for me. BIG notes section for each week and smaller daily boxes. 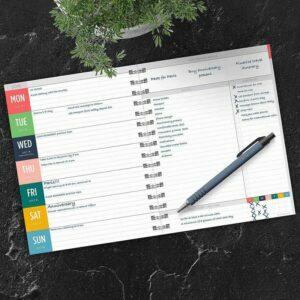 I don’t really have a daily to-do list as my days are so hectic, that I never know when I will have time to do something, so instead I have weekly to-do lists. You can check out the awesome TF Publishing planners on Amazon (if the planner linked here is no longer available, then check out TF Publishing’s Amazon store to see their full range). They’ve actually updated their design this year and I love it EVEN more than before! It even has a habit tracker section for each week! After I decided that I wanted to switch over to my bullet journal full time, I then needed to find the ‘perfect’ bullet journal weekly spread to suit my needs. I knew that I couldn’t keep up with a new spread every day, and a monthly page just didn’t give me enough space to record everything. So I turned to Pinterest and Instagram for inspiration for my bullet journal weekly spread. There are hundreds and hundreds of weekly layout ideas on the internet. If you can’t think up your own design, then I can guarantee that you will find one (or 100!) that suit your needs with a quick search on Instagram or Pinterest. This one by Mireille is much simpler, but it doesn’t have much space for notes. Still not quite perfect for me. This bullet journal weekly spread by Jaclyn is definitely getting closer to my ideal, but I feel like without the beautiful lettering it just wouldn’t be the same. But I do LOVE the “next week” section! Super helpful! As you can tell, I spent many many evenings looking for the “perfect” spread but I always found something that wouldn’t work for me. Well, I guess it’s lucky that bujos are so personalized then! As I was exploring for ideas, I was reminded of a great bujo hack of making a “dutch door” page. What on earth is a Dutch Door? The basic definition is that a dutch door is a door that is cut in half, like a stable door. In a bullet journal, it means a page that has been cut or folded in half. Why would you want to do this I hear you ask? Well, there are lots of reasons, but the most popular reason is so you have a central reference part of the page and then turn the lower (or upper) part of the page to view more detail. Huh? What? I guess it’s easier to show you than try to explain! Does that make it a bit clearer?! 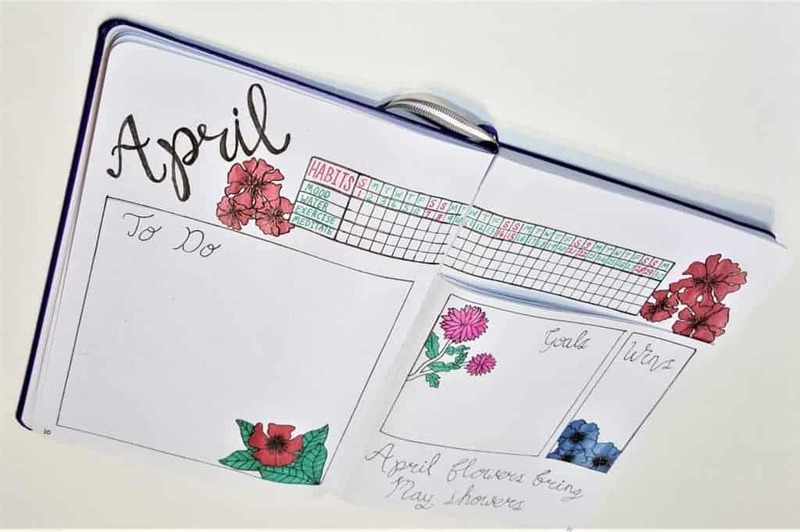 As you can see, it’s an attractive and practical way to make the most out of our bujo pages. This definitely appealed to me – I’m all about attractive and practical! So now I had a feature that I REALLY liked, it was time to design a bullet journal weekly spread that would work for me! After a few rough sketches, this is the design that I finally picked! 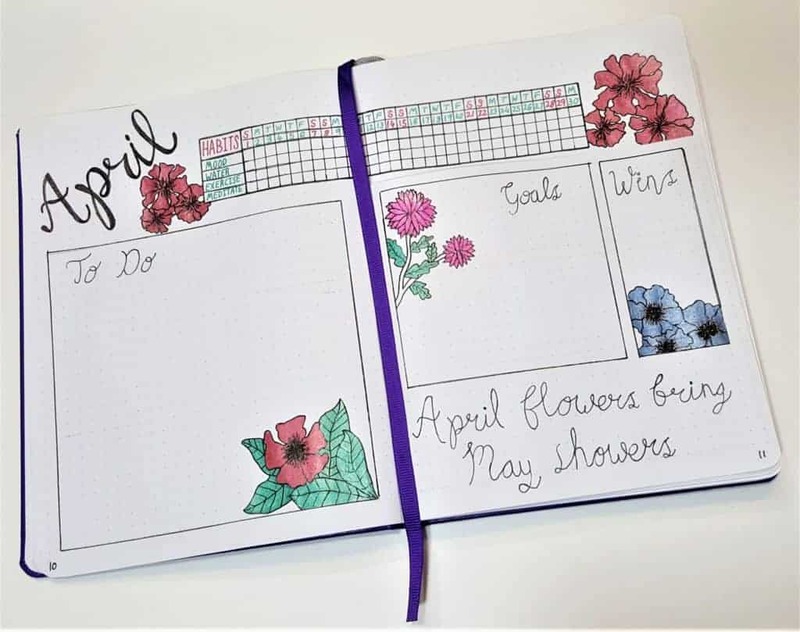 Of course, I had to use flower doodles for April! I also included my mom’s favorite Spring sayings – “April showers, bring May flowers”. I cut off the top part of four pages (using a very sharp craft knife). The lower sections are for the bullet journal weekly spread and the top section is for the monthly overview. I included a large section at the beginning of the month to write my goals, to-do list, and wins! Having a section for wins was super important to me because I love celebrating success, even if it’s only small! A win is a win! You don’t need fancy lettering or artwork to make a bullet journal look nice. I freely admit, that I’m no artist, but I do love to doodle flowers! I’ve only been using it for a few days, so I’ll let you know how I get on with it, but that’s the beauty of bujos! If this design doesn’t work out for me, I can switch things around next month! What are your favorite features for a bullet journal weekly spread? What are your “must-haves”? How to Organize Your Life – Stop Feeling Overwhelmed! Time to Quit Your 2019 New Year’s Resolution! I recently read your book after doing a search on Amazon. I was impressed with the ease in which you explained starting a Bullet Journal!! Other books are so long… I dunno. When you are just starting out, a long how-to manual is overwhelming! So I very much appreciated your to-the-point directions! I am about to start a blog myself, and while in these weeks before, during which I have done hours of research and little else, I have felt a little lost. Beginning my bullet journal helps me to stay focused and present. I wasn’t great about upkeep at first, but I’m getting better. 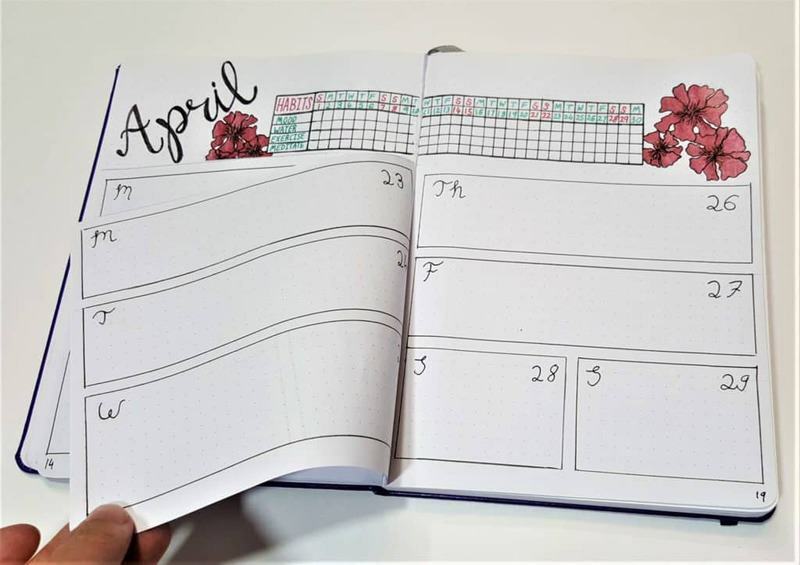 I wanted to perfect my weekly spread, so I came to Pinterest… I’m totally new to that, by the way, but I had heard you should be familiar with Pinterest if you’re starting a blog so… Anyway, I stumbled upon your pin here. Yet again, you have shown me exatly what I want, no more and no less, and for that I am so thankful! Anything that allows me to NOT spend an hour or more lost in the maze of the interwebs is high on my “I am so happy I googled this” list! Haha. Aww, thank you! That’s so nice of you! I’m glad you’re finding it useful.